The peak summer season is over but the good times on the water continue for us. Fall is one of the most beautiful times of the year to visit Destin Florida as the humidity subsides, crowds lessen and the butterflies migrate through the crisp air. It’s truly a majestic time that only gets better when you are on the water. 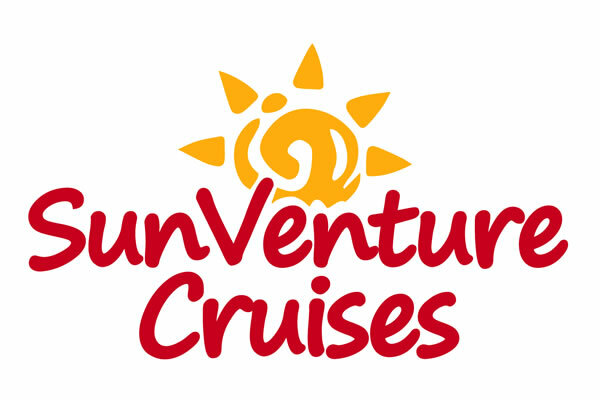 Although our daily dolphin and Crab Island schedules are on hiatus until next spring, the SunVenture is still available through October for private cruises in Destin for up to 49 people. If you’re celebrating any type of occasion in Destin, why not give your guests any experience they will never forget on the emerald green waters? Hosting up to 49 guests, the 45-foot SunVenture I Catamaran, with a state-of-the art sound system & open deck, is ideal for any private cruise including Dolphin Cruise birthday parties in Destin & bachelor/bachelorette parties. Can you imagine the look on your child’s and their friends’ face as they cruise the waters and enjoy an up-close and personal encounter with dolphins? If you’re looking for a difference experience on the water, check out our sister yacht, the 125′ SOLARIS, that cruises weekly for dinner and sunset cruises. Docked at the Sandestin Golf and Beach Resort, the SOLARIS boasts three decks of indoor and outdoor fun, complete with a 3-course chef, prepared meal and live entertainment.